A.A.: "Congratulations. This piece is a very strong addition to Philadelphia." Mark di Suvero: " Why... thank you." A.A.: "Yeah, the City even added the sidewalk to partition and give some space to your piece. [flashing the rock'n'roll "devil" handsign] You're total Blue-Chip now." 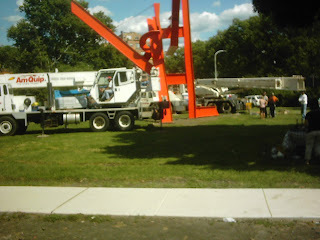 di Suvero: [laughing to himself] "Thank you." 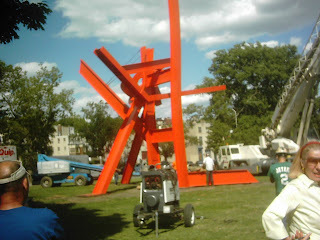 di Suvero, still laughing to himself, turns towards a female companion and says to her, "Total Blue-Chip." More NY Times: article/recipes re: Saturday/Sunday breakfast food from my hometown in Southwest Texas.